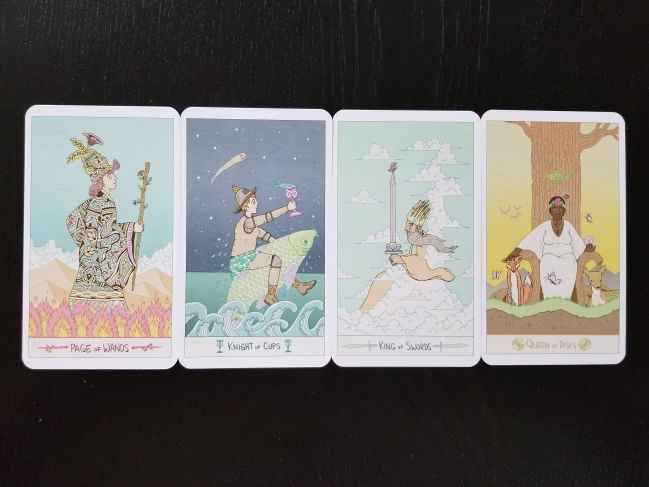 Jack of Wands, one of our favourite tarot bloggers, was through the gate with a proper, nitty gritty review of the deck and its themes. Frankly, our hearts are warmed! 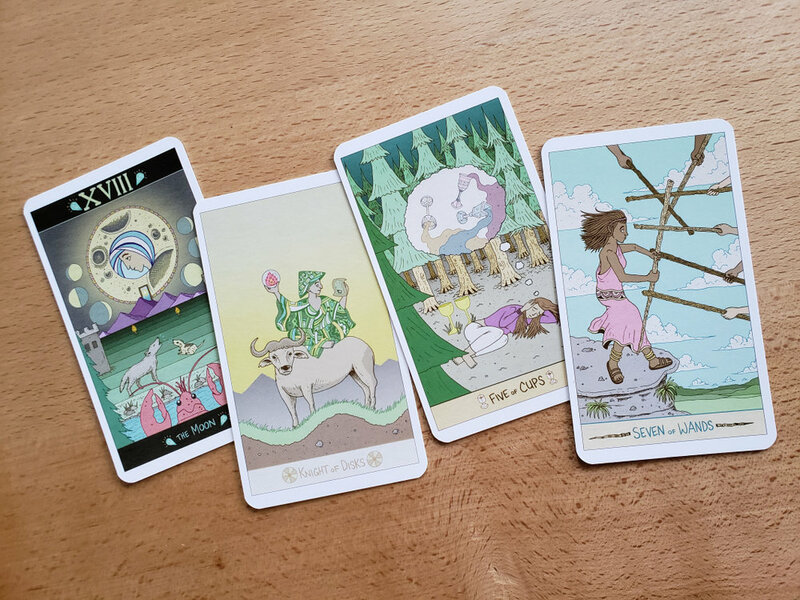 Head over to read the review, and other great posts, like Jack’s James Bond tarot series! 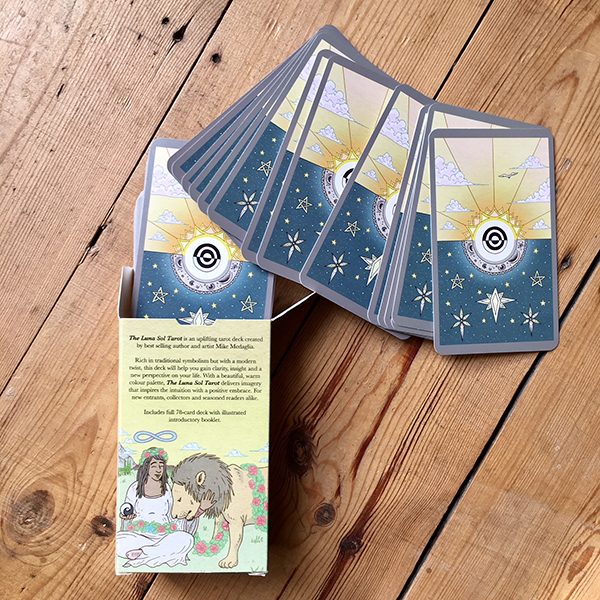 Jessica Dore also featured the 4 of Disks in her December 2018 tarot offering on her blog. 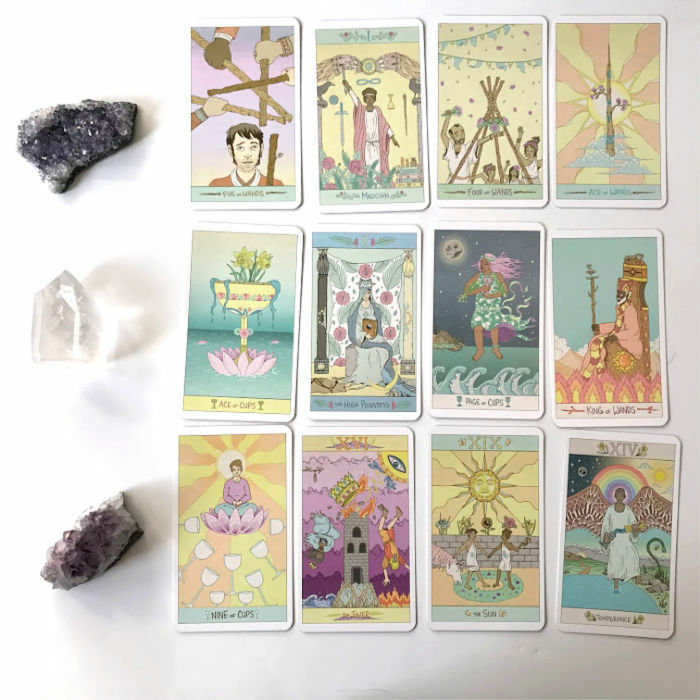 And she featured the deck in her Full Moon in Taurus 2018 Tarot spread! 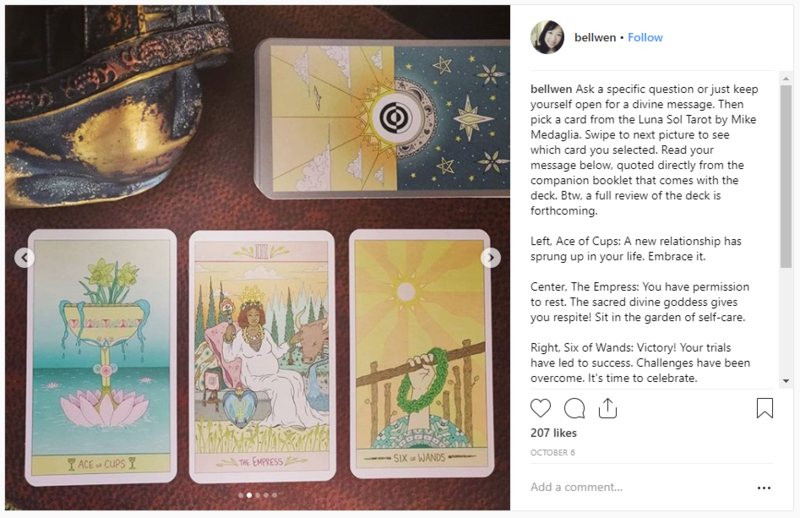 Benebell Wen, the absolutely spectacular metaphysical author and creator of The Spirit Keeper’s Tarot, used our deck for an Instagram reading and wrote this incredible review! 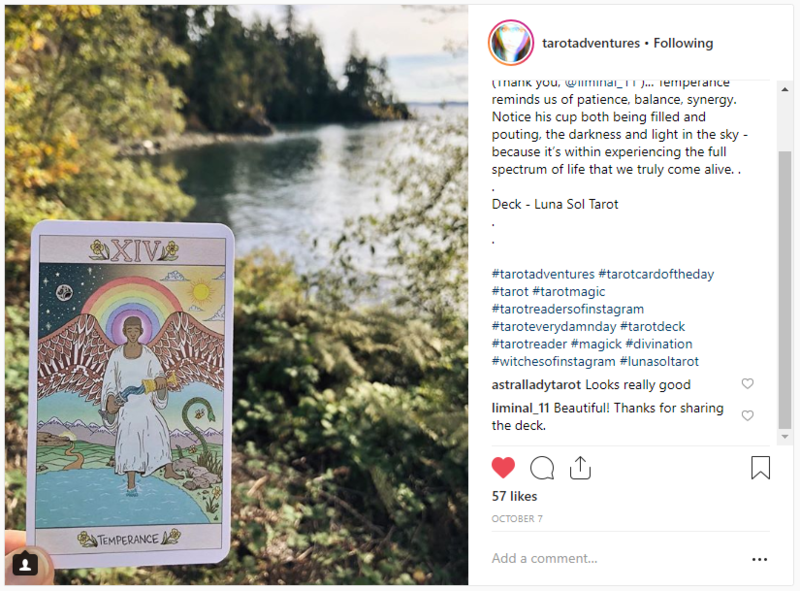 Asali Earthwork said “I want more decks like this” in their amazing review! 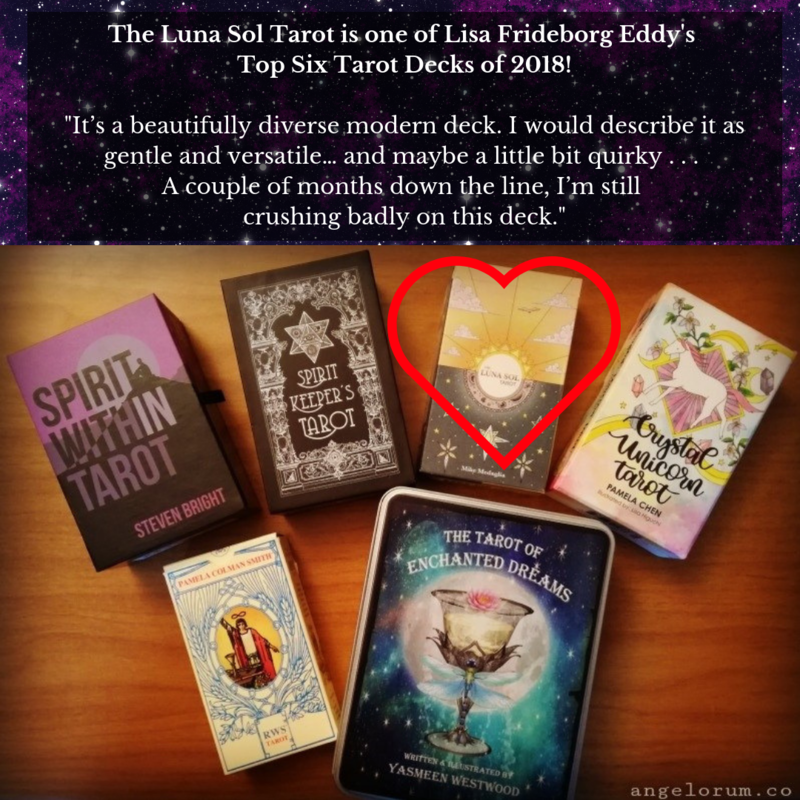 Lisa also included the deck in her Top Six Tarot Decks of 2018! 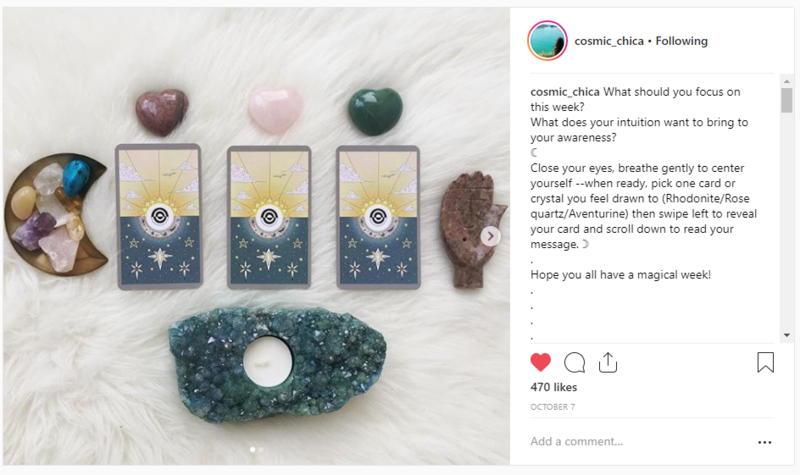 And we love this photo from Cosmic Chica on Instagram! 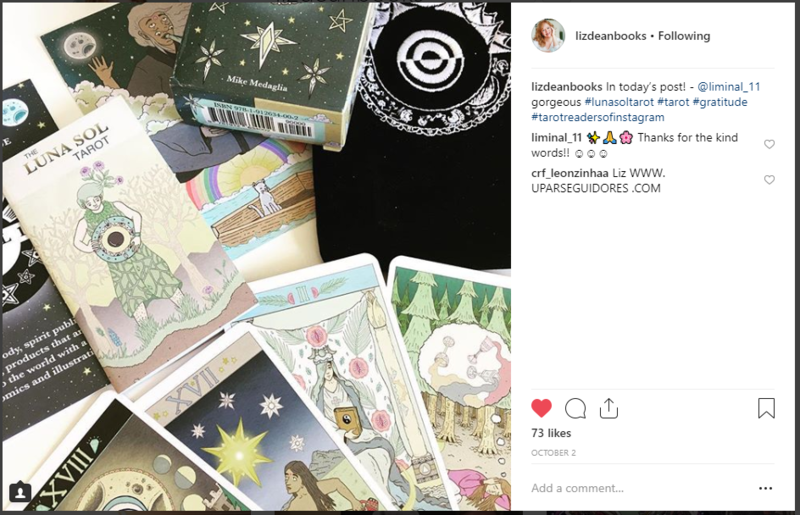 We’ll keep adding in reviews and kind thoughts as we see them. 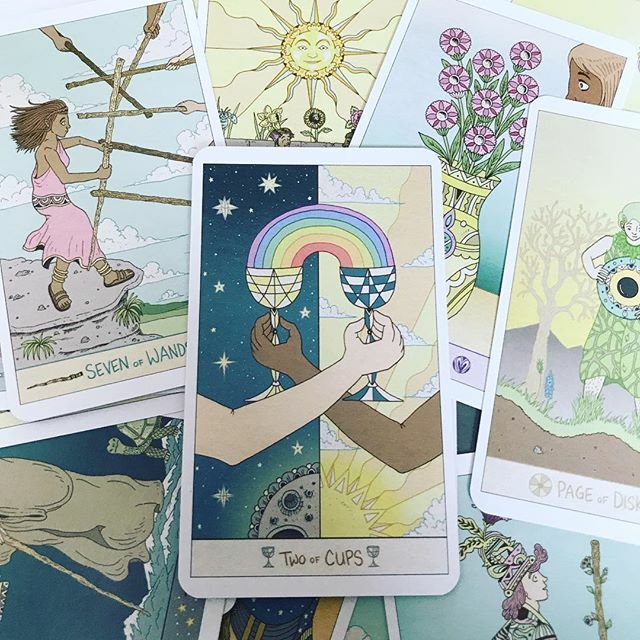 Have you seen or posted something we’ve missed? 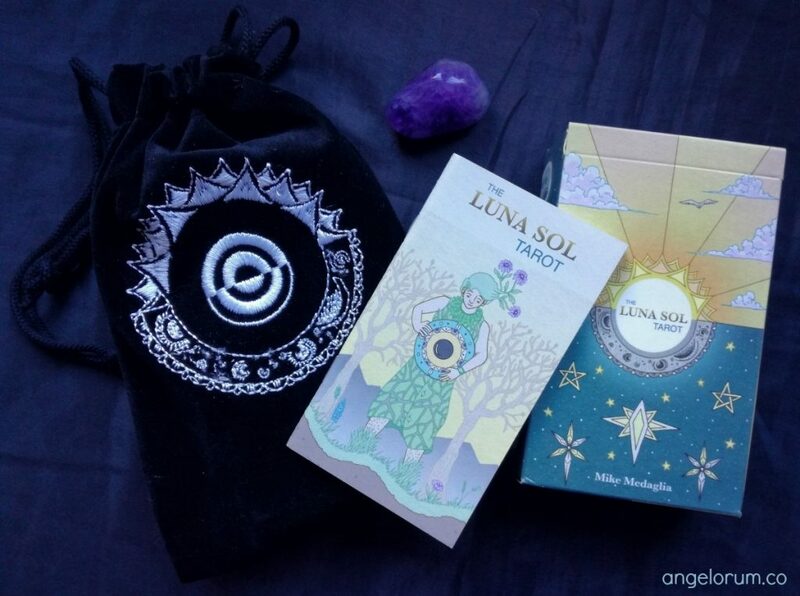 Be sure to let us know, and be sure to share your photos of The Luna Sol Tarot too! 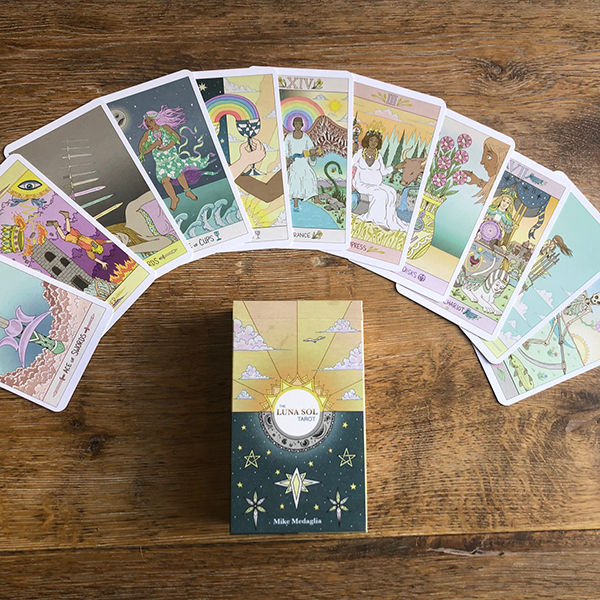 The Luna Sol Tarot is available to buy now! 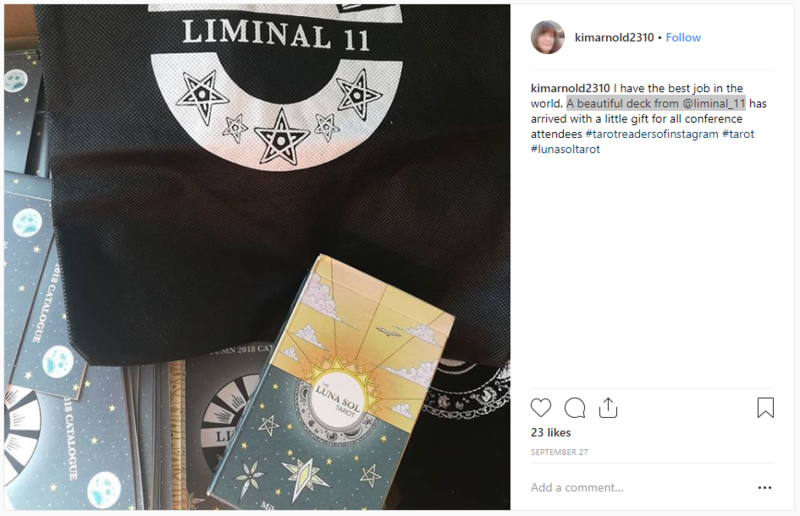 Previous Post Liminal 11’s launch party AND SO MUCH MORE!